Webcam Maumee, Ohio: Lucas County Fairgrounds - A webcam in Maumee, Ohio - camera location: Lucas County Fairgrounds. Toledo, Ohio: Christ the King School, 2.9 mi. Toledo, Ohio: St Johns Jesuit High School, 3.2 mi. Toledo, Ohio: The Maritime Academy of Toledo, 6.3 mi. Monroe, Michigan: Knabusch Mathematics and Science Center, 20.4 mi. Archbold, Ohio: Four County Career Center, 36.5 mi. Ypsilanti, Michigan: Eastern Michigan University, 41.3 mi. Kingsville: Seacliff Cam, 55.4 mi. Tecumseh: Beach Grove Golf and Country Club, 61.8 mi. 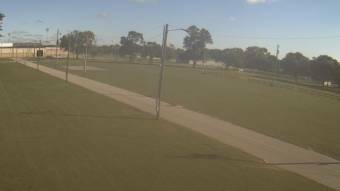 This webcam Maumee, Ohio with the theme Weather was added on June 28, 2012 and is operated by WeatherBug. It got 627 visitors since then. Shouldn't this webcam work or should the link be wrong please report that here. You can add this webcam here to myCams.